Lee Roy comes from one of the finest breeders in the business, Rare Dankness. This was produced by crossing Triangle Kush with their own Rare Dankness #2. The Result, some of the finest OG genetics on the market. 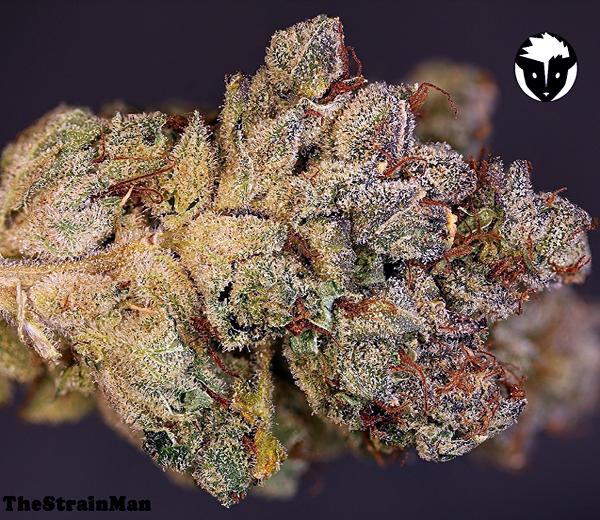 This strain leaves you feeling Happy, Uplifted, and Euphoric. It has a kush flavor mixed with a strong citrus flavor, specifically lemon and lime. The smell is absolutely ridiculous. It will fill a room and quickly. Very potent smell, skunky, kushy, citrusy. The buds are covered in trichomes and super resinous. Very sticky to the touch. 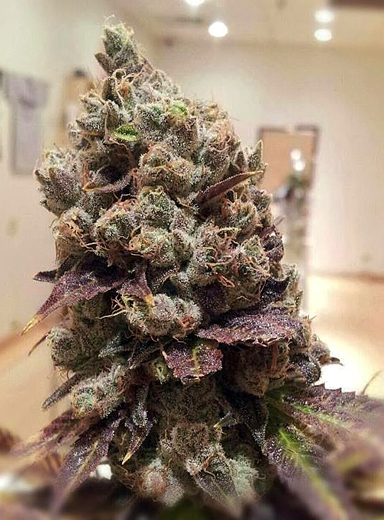 This bud burns real slow in a blunt or a joint. Being so sticky and resinous helps in that regard. That's something you really want if your a smoker. It smokes great in pipes and bongs as well, but you might want a torch for a bong. This strain is one of the best strains I've come across. I would highly recommend it to any seasoned smoked who could really appreciate it's intricacies. Just wondering...why the lack of purple in the original image here compared to the stock photos sourced? Different grow conditions? I see that, I was wondering why it appears to differ so much from your sourced pictures. Your original picture to me looks like something a bit different. Quite a bit lighter green. My god! If someone said that isnt fire, then i would tell them to stop dabbing, i think you may have a problem, lol. So all of them look fire and I really wanna try this one now. However there is no purp in yours. What gives? Well we all know how you love them PURPS! You should send me some lol just kidding I would be too paranoid to get weed in the mail.